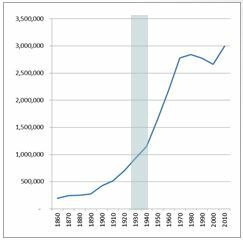 By the turn of the century, the city inside the walls had been completely built out, and population was expanded greatly because of the city's capital status. The city began to spread outward. Enter Mussolini (1922-1944). 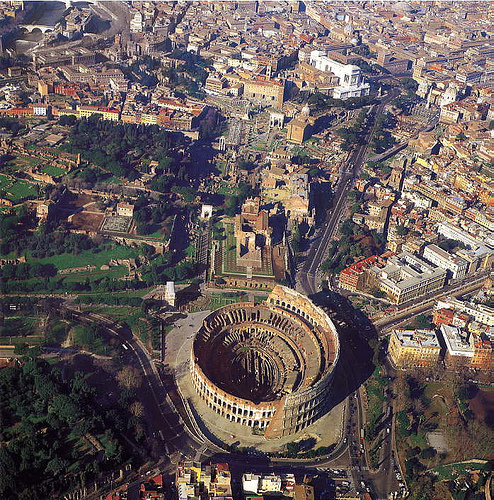 Mussolini envisioned a "New Rome" with a vast metropolis that expended all the way to the coastline. In his first 10 years in leadership, he drained this area to later install a new rail line and express highway, thus laying the groundwork for his new urban core 4 miles south of the city. This new city, dubbed "EUR" would be built for the upcoming 1942 World's Fair. These massive projects (partially listed below) created a huge influx of people in the construction and related trades for implementation. 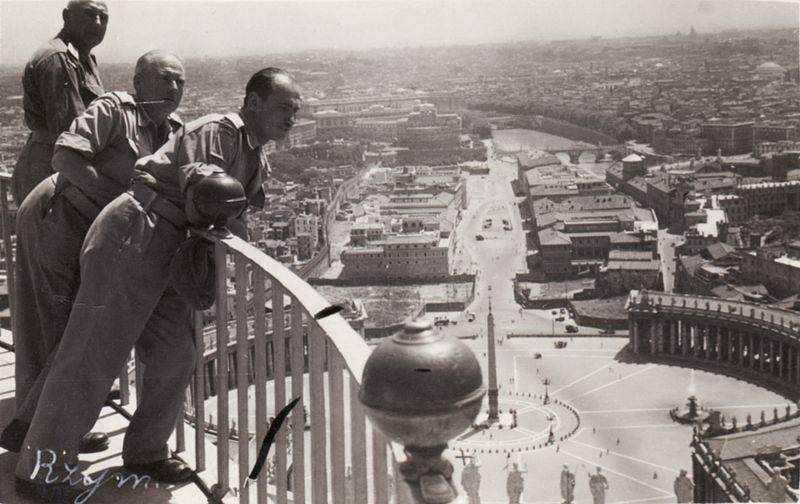 Among the 3 projects featured with photos below, Mussolini arranged for the marsh between Rome and coast to be drained, created the plan for the ring road around the city, and cleared slums throughout the city. 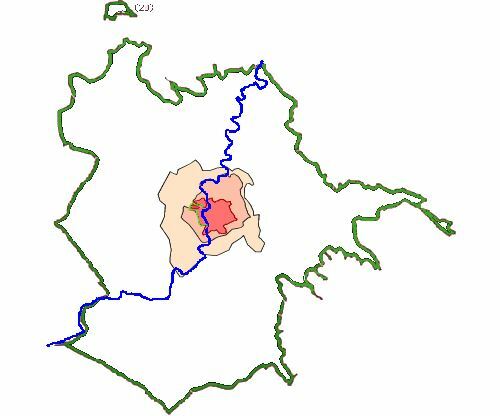 Settlement pattern of the city by 1930s in reds. Green outline is current boundary of the city of Rome. 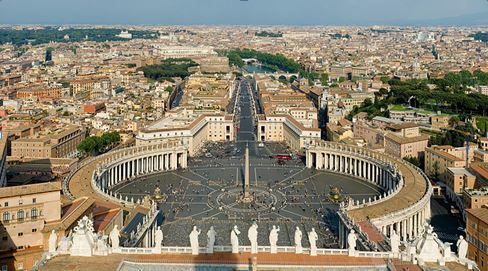 New avenues were opened through the historic center, often in poorer areas, causing the displacement of a significant part of Rome’s small boroughs (borgate). These people were moved to settlements in the outskirts of the city. "These interventions changed the city so dramatically that they were named Sventramenti (slaughters)." 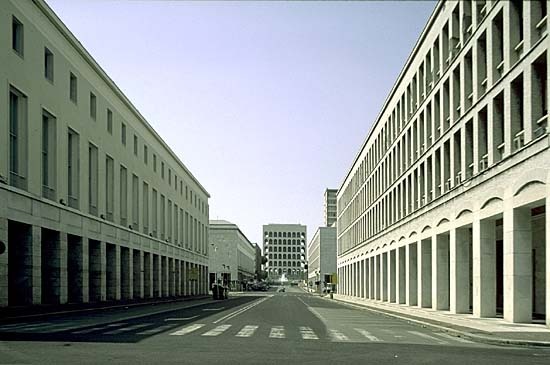 (Castroni, 2009) Two of the more prominent avenue-building projects were the Vatican entry and the avenue between Piazza Venezia and the Coliseum. 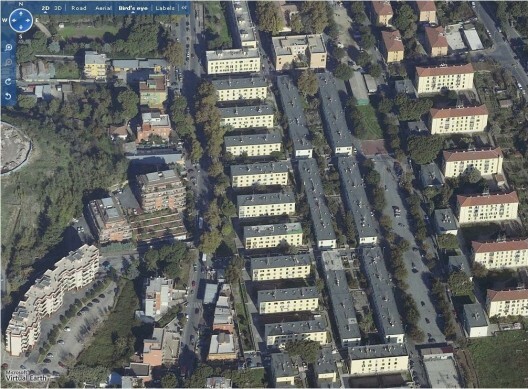 construction of which a large part of the old Borgo neighborhood was destroyed). 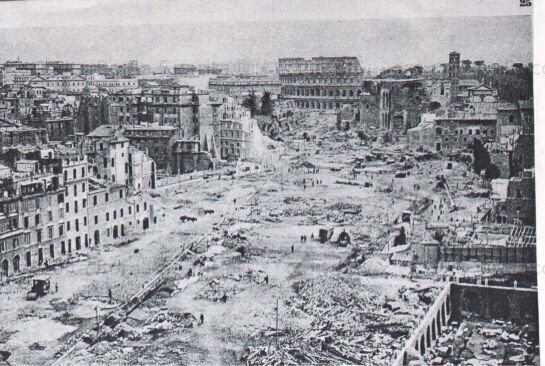 The creation of the Via dei Fori Imperiali was planned for triumphant military marches or parades. 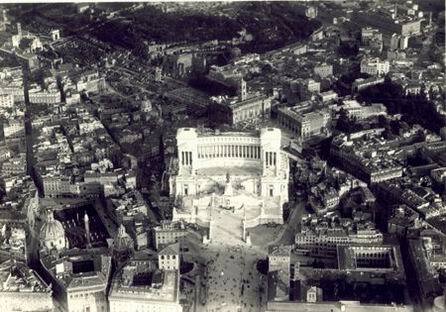 Mussolini built EUR in advance of the 1942 Worlds Fair. This was the first time a urban core was built outside the historic center. Read more about EUR and the Worlds Fair of 1942.